Besides these and some other longstanding focusses, we chose a different main theme every year. It is used to identify and visit places that are especially connected to this theme. As a group, we try to focus a big part of our informal learning on this theme. Thus we constantly try to link everything we see, experience and learn to the main theme when we discuss or reflect upon our trip. Past year’s themes have been “local and sustainable food” (2011) or “degrowth” (2012), to name some examples. „don't count“, which I consider a healthy state of mind. important events of the past." In 2013, we have chosen the theme “Borders, Boundaries and Beyond” to go into more detail about something that we do on every year’s bike tour: We are crossing and experiencing borders – mostly without talking about it. Especially if this takes part within the Schengen zone. Once you start to think about how many things borders can mean, you also come across manifold ways to “experience” borders: Especially in Europe, you can cross almost invisible borders (e.g. Schengen Borders, Historical Borders, Language Borders, etc. ), but also see and feel highly fortified ones (or their remains): The Berlin Wall, fences around Ceuta and Melilla, barbed wire in Calais. Sometimes borders coincide with natural phenomena like mountain ranges or rivers – sometimes they have literally been “drawn on the map”. 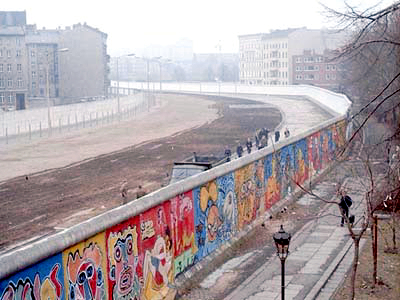 But apart from their physical presence, borders have influenced social and political life as well – not only since the Iron Curtain. We are cycling to study borders in their broad sense, learn about how they shape societies and meet people whose lives have been deeply influenced by borders and/or who engage in cross-border activities. Here‘s a small brainstorming mindmap about what borders can mean in 2013 and what could be used as a point-of-departure for discussions.